If you want to take part into this contest, I’ll let you have a look at the corresponding post (here) and you can still win the little bunch of cosmetics if I hear from you before 6pm. 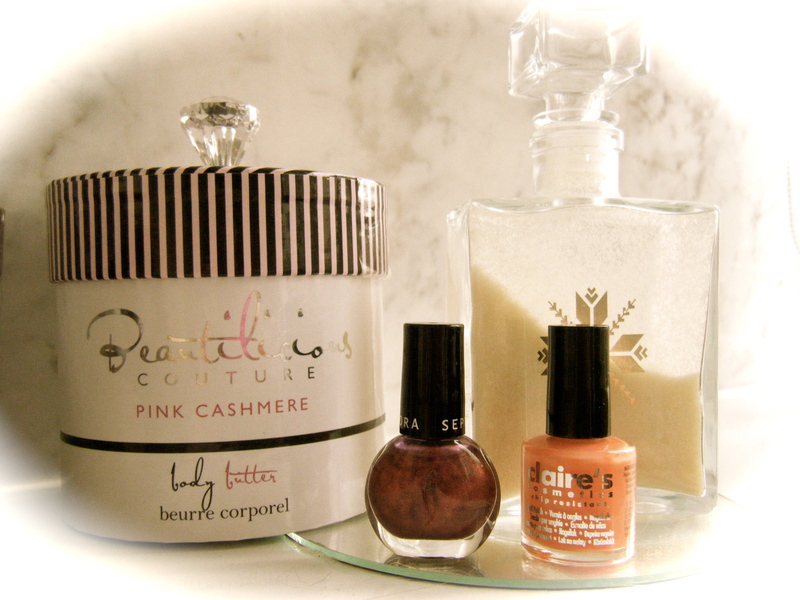 Categories: #Press Minute#, Blog Contest Time | Tags: beauty, Blog Contest #1, Cosmetics, good luck, lovelies, Nail polish, participant, Shopping, Style | Permalink. Check it out! The very nice blog contest of mllecaramelcake, who celebrates the 6 months of her blog! 😉 I really really REALLY L.O.V.E. the bracelet… It’s definitely on my Wish List now!!!! 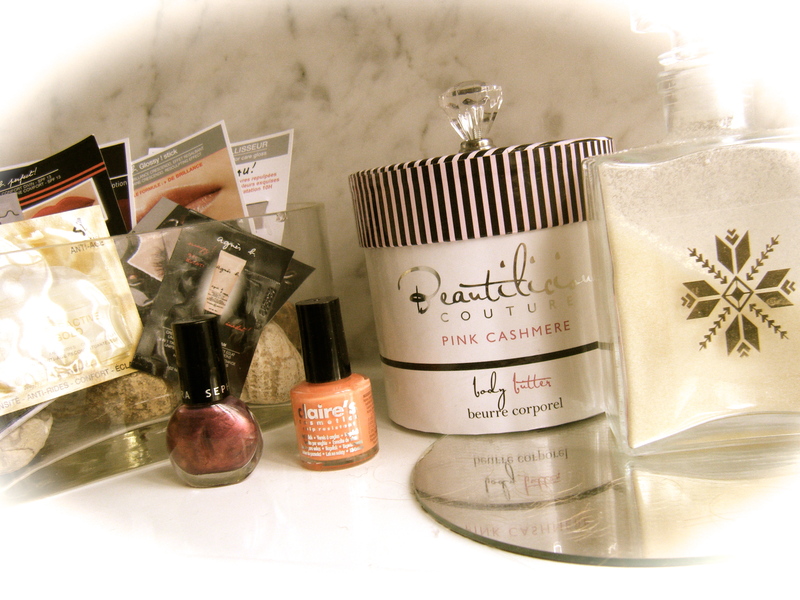 Categories: Blog Contest Time, FASHION & BEAUTY | Permalink. First Blog Contest! Ooooh I’m so excited!!! 😀 So I dare hope that you are too ;)! This first contest, entitled ‘Vintage Beauty’ (don’t ask me why I gave it that name, I don’t know… probably because of the effects I gave to my photos, who knows? ;)! ), can allow you to win these two very peppy & colorful nail polishes (and what’s best than purple and orange to color your day? 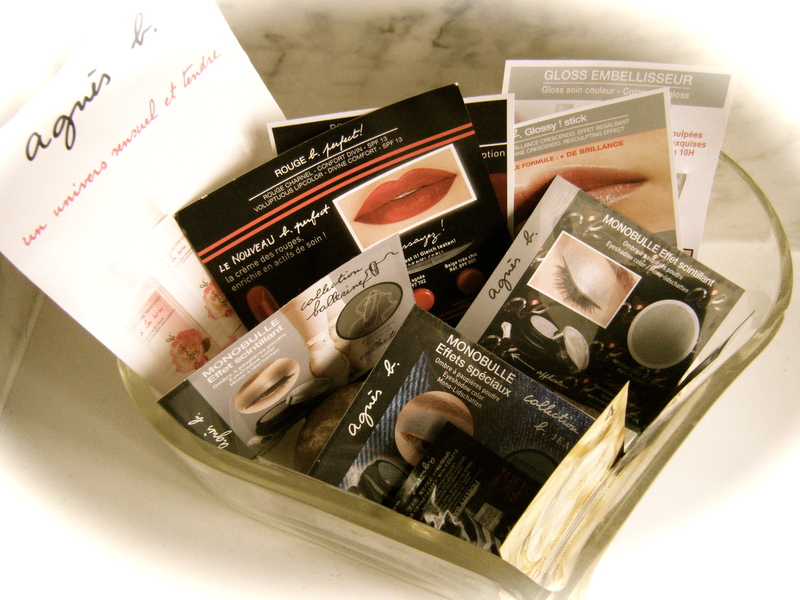 ), which will give a little pep to your days, as well as this beautiful bundle of cosmetics samples! leaving a comment on this post and tell me why you’d like to be the very lucky winner of the first ON MY WAY’s Blog Contest ;)! I hope you’ll like this first Blog Contest, which begins today and will end Saturday, 4th May! 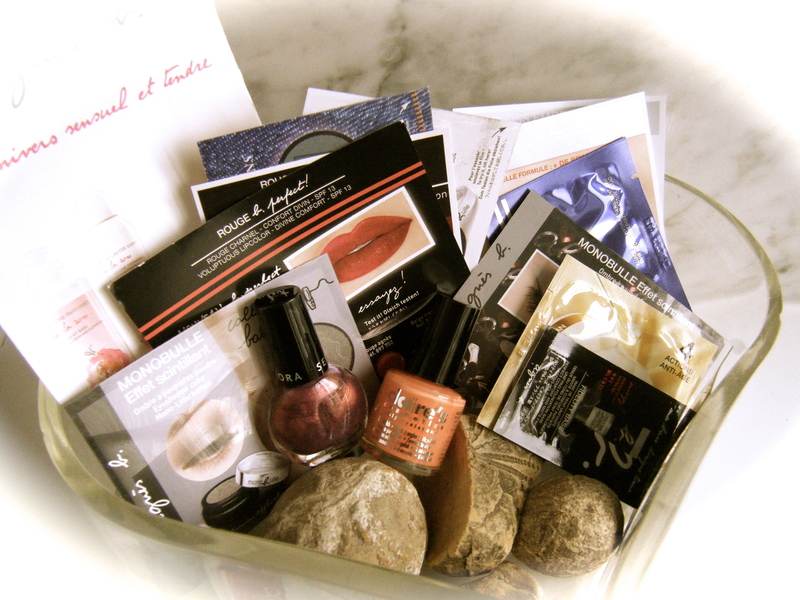 Categories: Blog Contest Time | Tags: agnès b., beauty, Blog, Blog Contest, blogging, colors, Cosmetic samples, entertainment, Facebook, Fashion, gaming, Instagram, make up, Nail polish, orange, purple, Style, twitter, Vintage Beauty | Permalink.